Be sure to download the free daily download of Frozen today and tomorrow the last part! If you missed any of them, they are available separately in my store! Tomorrow Mixology Gifts of Love will be released! 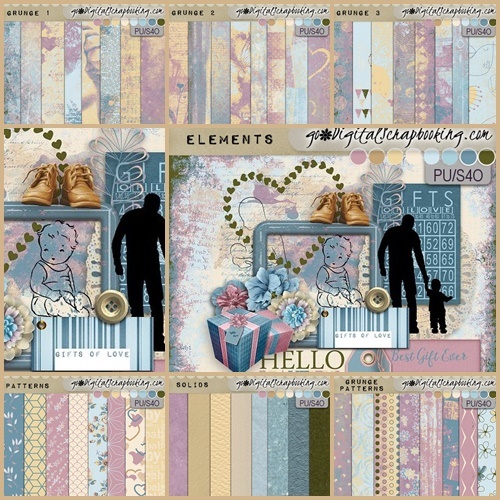 A beautiful collection of grungy papers, patterns and elements in soft pastels perfect for scrapping baby pages, our gifts of love! Hope you like!